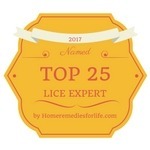 Top 26 Most Competent Lice Experts in 2019: These blogs are must reads! Are you looking for ways to avoid catching lice? Is it too late for that, and you’re in the middle of a lice infestation already? Whether you’re looking for the best remedies against lice, or you want to teach your kids how to avoid catching the critters, you’ll find the best information online. But try to google “lice blog”, and you’ll be inundated with mediocre links. Finding the few gems out there has just become very easy: We’ve selected the top 25 most competent lice experts for you to learn from. 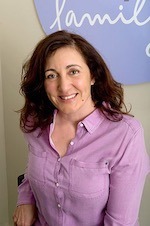 Joan Berkowitz is a former pediatric health care professional and a professionally trained and certified Lice Removal Specialist. When her own family suffered from lice infestation, she set out to learn everything she could about lice. She doesn’t only provide lice removal services, but tries to provide lice education to others. Check out her overview of lice prescription medications here! After Camille had defeated her family’s lice infestation, she kept receiving calls from frantic friends. Camille kept putting on her lice buster outfit and waged war against the insects. She thus became an expert case by case. Read her “facts of lice” for a quick overview about lice. 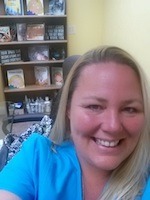 M.J. has sixteen years as a nurse under her belt, and teamed up with QA professional Nancy, high-quality lice removal content is only a logical result. Read this surprising piece about Social Grooming! Rachel and Lisa are healthcare professionals and their blog on Ladibugsinc.com features a great “learning” section. Do you really know how to recognize lice? Have you ever thought about what the hidden costs of head lice are? No? Maria of Hairfairies.com has. Check out her blog for her answer as well as other interesting articles! If you only ever want to read one article about lice in your life, this is the one you should read. Dr. Sarah Brewer covers everything from “what are head lice” to symptoms and potential remedies. 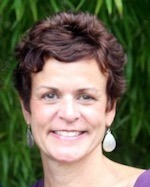 Canadian head lice expert Dawn isn’t just a general know-it-all in the lice universe. She also writes books in addition to offering lice removal services. The free resources on her blog are super-helpful. If you prefer watching videos to reading, definitely check out her video series, e.g. her “lice 101“. Cozy of socozy.com loves debunking the top ten myths about lice in her spare time, and runs a hair care product line specifically for children during the day. 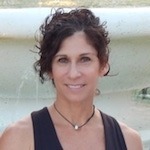 Her blog features a wealth of knowledge about lice. 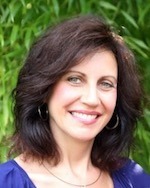 Linda, a registered nurse turned lice expert founded licebegone.net. If you want to know what nits actually look like, do check out her blog! Eliana is sometimes called the “Lice Lady”, and that’s a true compliment. She knows everything there is to know about removing lice. And yet, in her article about head lice prevention Eliana questions whether preventing head lice is even possible. Do read! Not every way to get rid of lice is a good way. Check out these dangerous ways to remove lice – and then find a different one for you! Sally of HBI Lice Removal can surely provide some guidance! Check out Suzin’s “Lice 101” for a quick overview of everything you need to know about lice. And I mean everything! 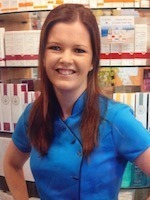 If you want to stick to traditional, over-the-counter remedies against lice, you need an Irish pharmacist you can trust. Sheena of Wonderbaba.ie provides a great overview of common lice remedies on her blog. Jess and Kelly of https://www.thelicelounge.com believe in pesticide-free lice removal. If you do as well, you should really check out their blog! Adie has been waging battle against lice for 17 years! You can benefit from that vast experience by reading her blog, liceenders.com. For example, have you ever considered the negative impact of new technologies in the classroom? 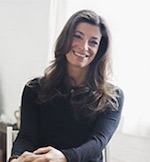 Sarah of removealice.com got frustrated with her first lice removal experiences, and decided there had to be a better way. On her blog, she shares her findings. Did you know that she doesn’t believe that selfies are quite as dangerous as they’re made out to be? 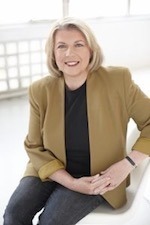 A pediatric nurse with a master’s in public health and a decade of experience as a school nurse: If there’s one person you should trust when it comes to head lice, it’s Berit of Liceinfo.net. Check out her 7 Common Myths about Head Lice! Howard of Clearlice.com seems to be blogging about lice all the time, there’s so much information on his blog. He will tell you what parents need to know about head lice and much, much more! Rachel of buggnout.ca has personal experience with scratchy heads and has lived through several cases of uninvited guests in her hair. Start with her advice about avoiding lice in summer camp and take it from there! The one place that has all the answers about lice: Shawnda’s extensive FAQ on her blog at nitwits.ca. Karen and Jessica set out to beat the pesticide-resistant super-lice when their own families were affected. For a critical view on home remedies read their article The price of DIY lice treatment and make an informed opinion. 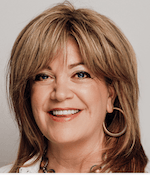 Kathy of deliceful didn’t exactly choose a career as a lice expert, but when she thought her carpets were crawling with the little bugs during an infestation, she set out to become one of the leading experts on lice. Check out her piece on the dreadful super lice! The founder of Lice Lifters failed at her first lice removal attempt! All the more reason to build a team of leading experts on lice! Licelifters is one of the very few complete lice blogs out there. 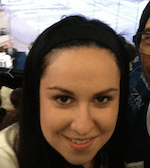 Tons of articles by Beth of licelifters.com are waiting for you. Check out her advice for summer camp season! Amy believes in research, and when she needed to find out how to beat her daughter’s lice infestation, she learned all she could. She soon became the go-to person for lice questions and has since become a lice removal professional. Her take on what works and what doesn’t work in lice removal can be found on lousecalls.com. The bloggers listed above are not the only ones writing about lice and remedies. However, they are without a doubt among the most competent in their field. If you only read half of them, you’ll become a lice expert yourself and you’ll find it difficult to discover any new information elsewhere. Looking for natural remedies in treating lice with ingredients right in your kitchen? We’ve rounded up a few for you and you can start with apple cider vinegar!